A. E. Wease Distributors, a 90-year old family-run business, spent five years as the borrower of a large Midwest-based bank. But the bank got cold feet about lending to Wease after a major customer was acquired and no longer needed a distributor. ABF Journal editor Nadine Bonner spoke with Wease’s Charles Tandy and Pete McCaffrey, who explained the process that brought them into a successful relationship with their new lender, White Oak Commercial Finance. 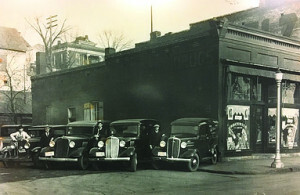 In 1929, Arch and Lourine Wease opened a distribution business based in DeSoto, MO, about 50 miles south of St. Louis. It was not an auspicious year. On October 29, the stock market crashed, triggering a plunge into a 10-year global economic depression. But A. E. Wease Distributors survived and thrived. Today, if you stop to pick up a pack of gum or a candy bar, or even a platter of Champ’s Chicken at a convenience store in Missouri or Illinois, there is a good chance it came from an A.E. Wease warehouse via an A.E. Wease truck. The business the Weases founded has remained in the family under the leadership of President and CEO Alan Clark and his son, Vice President Bud Clark. Wease has expanded into food service, providing chicken, pizza and other items to meet the needs of a changing consumer base. But even the best-run companies bump into issues beyond their control, and eventually Wease found itself in a situation that forced it to change lenders. “About two years ago we lost a major account. They were purchased by someone else,” recalls Charles Tandy, the company’s controller. The acquiring company already owned a distribution system and no longer needed Wease’s services. Tandy adds the lender was a large bank based in the Midwest, and he has no bad feelings about the business decision it was compelled to make. But because of the nature of the distribution business, Wease had to find another lender quickly. The company hired a broker and several lenders were considered. In the end, White Oak Commercial Finance became the company’s new lender and provided a $8 million line of credit. “The consultant was able to provide us with several banking options, and one of them was White Oak. There were a couple of lesser-known commercial banks in the mix. I think there were essentially four that were considered. It’s like anything else. There are strengths and weaknesses for all those lenders, at least in my eyes. Also, this is a privately held company so, obviously, the ownership has a lot to be concerned about in the banking change,” Tandy says. 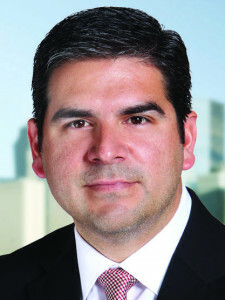 For both the team at Wease and David Montiel, head of ABL originations at White Oak Commercial Finance, the meeting part was critical. Based on that information, White Oak was able to give Wease the flexibility it needed to recover. Pete McCaffrey, Wease’s operations manager, was impressed with the process and his interactions with the White Oak managers. “Having met Joe [Silipigni] and Carlos [Acedo] and their team over at White Oak, the one thing that really stuck out in my mind after meeting them even for the first time and spending a couple of days with them was they take the time to know what your daily struggles are. They ask these types of questions, and they have an interest in what is going on and what your process is and try to grow the business,” McCaffrey says. As a suggestion to other companies looking for a new lender, he emphasizes the importance of open communication. The company had been the larger bank’s customer for about five years, and when evaluating a change, Tandy says it was important for Wease to have a lender willing to work with the highs and lows that accompany the distribution business. “You’ve got to have a bank or a funding arrangement that works for your current situation,” he says. “Things change. Accounts are gained. Accounts are lost. Business is good. Businesses are bad. You have to have somebody willing to deal with the ups and downs. More than two years after losing that critical customer, both Tandy and McCaffrey feel secure that Wease is back in fighting form. “We’ve had some nice super major victories and a lot of nice little victories along the way the last six months or so. Things are definitely improving, and they’ve [White Oak] done a good job for us. Carlos and Joe are great guys to work with, and things are all fine,” McCaffrey says. He adds the food service business is expanding. With the financing from White Oak, the company rebuilt its freezer facility this past winter to accommodate the growth in that area. Tandy is happy things are rolling along smoothly, and he has the financing he needs to get through the day. “I guess I’ve been in the ABL lending business for more than 20 years, and I can tell you that the other places I’ve worked, the advances were usually made the day before payroll. That’s not the way we do it here. We have to have large sums of money every day. Another advantage of working with White Oak, he notes, is White Oak can be nimble; if he needs to make a quick decision, he doesn’t have to wait for a bank committee to meet and discuss it — White Oak can respond quickly.